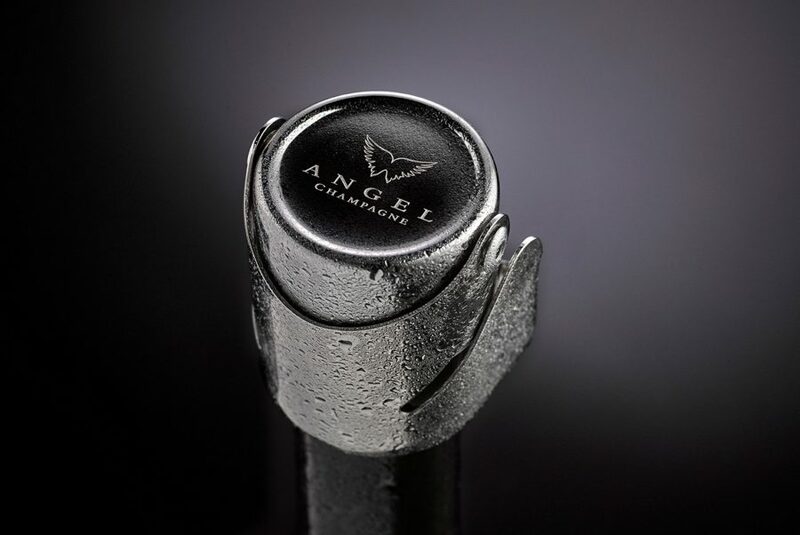 Angel is considered to be the most innovative and original Champagne brand ever approved for production, so named because at its essence is the quest for beautiful perfection. 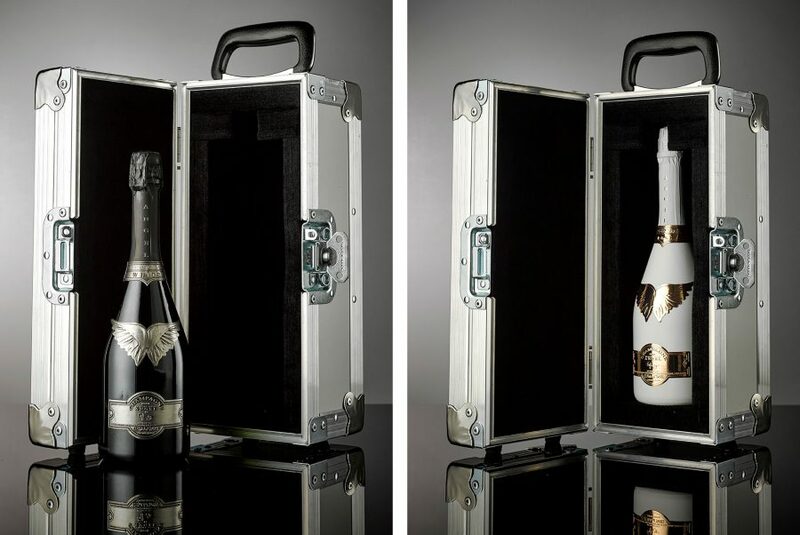 A ‘boutique’ Champagne of choice, produced and certified to the highest standards with hand-picked grapes from the finest Premier Cru vineyards. 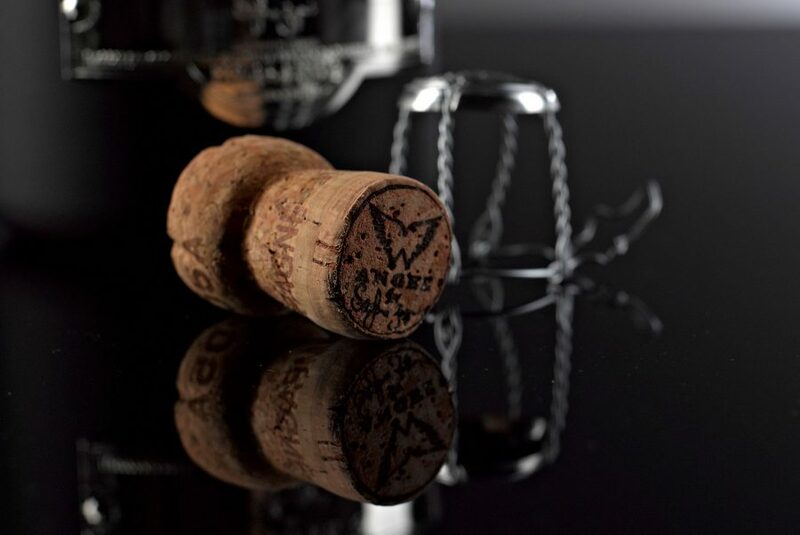 After blending together, the three classical Champagne grape varieties using the centuries-old craft of assemblage, our renowned oenologists achieve the unique taste and bouquet synonymous with Angel Champagne. Angel embodies everything the Champagne experience has to offer and more. 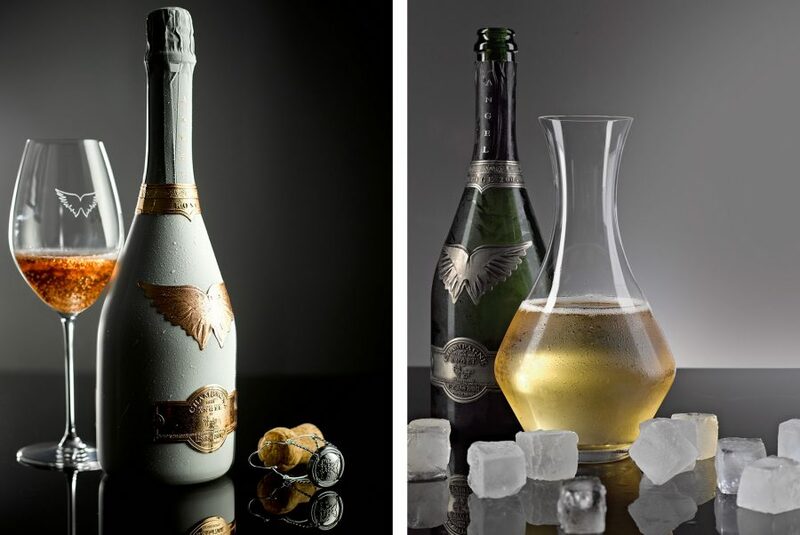 Although still measured in mere decades, Angel is one of the newest Champagnes available to the public and wine collectors alike. 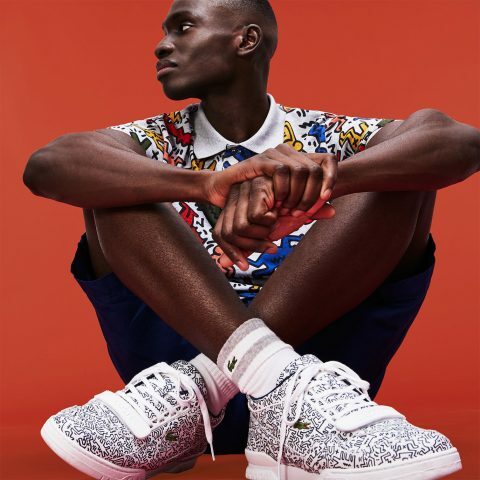 With distinctive branding and luxurious aesthetic, Angel’s unique identity and hand dressed bottles create a hugely desirable and emotional experience. They speak clearly and simply to both the eye and palate, signifying very high standards for Champagne enthusiasts and the style conscious. 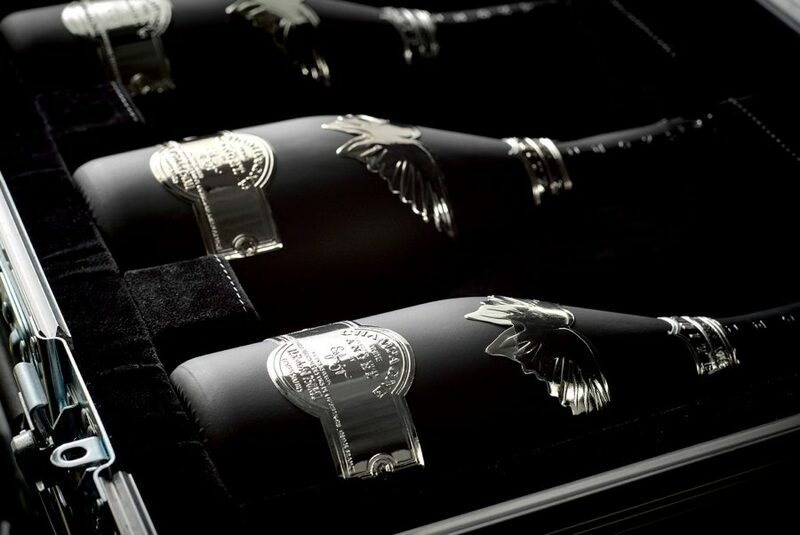 The wide appeal of Angel Champagne is testament to the dedication, attention to detail, and pursuit of excellence from the beginning. 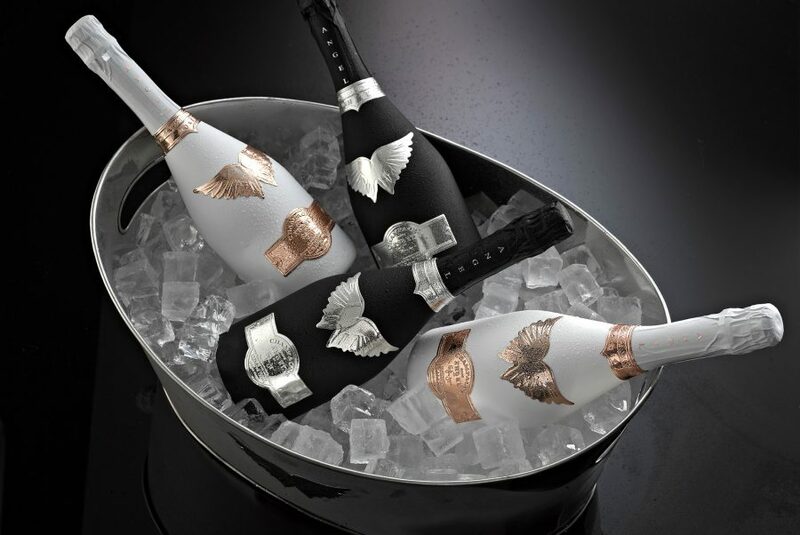 Angel owes its unique taste and bouquet to the assemblage of three grape varieties: Chardonnay, Pinot Noir and Pinot Meunier. 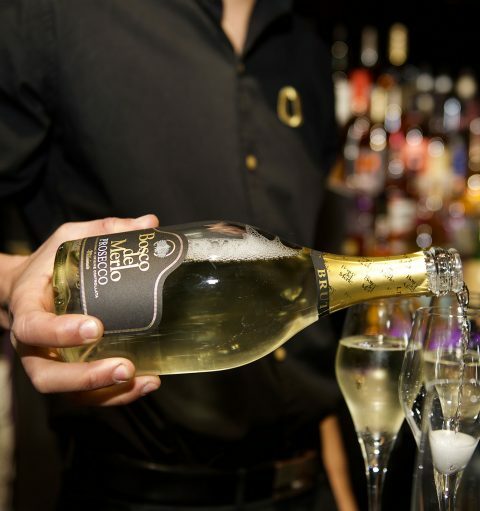 The Chardonnay, a white grape, brings to our champagne its soft, fruity flavour and great refreshing acidity. Pinot Noir, one of the world’s most exquisite red grapes, adds boldness and depth to the opulent taste of Angel. Pinot Meunier, also a red grape, is vital in the production of our Champagne. Angel’s distinctive notes owe much to the fruitiness and freshness this grape adds to the power of Pinot Noir and the grape of Chardonnay. Angel’s dedicated craftsmen apply a four-piece label set to every bottle. 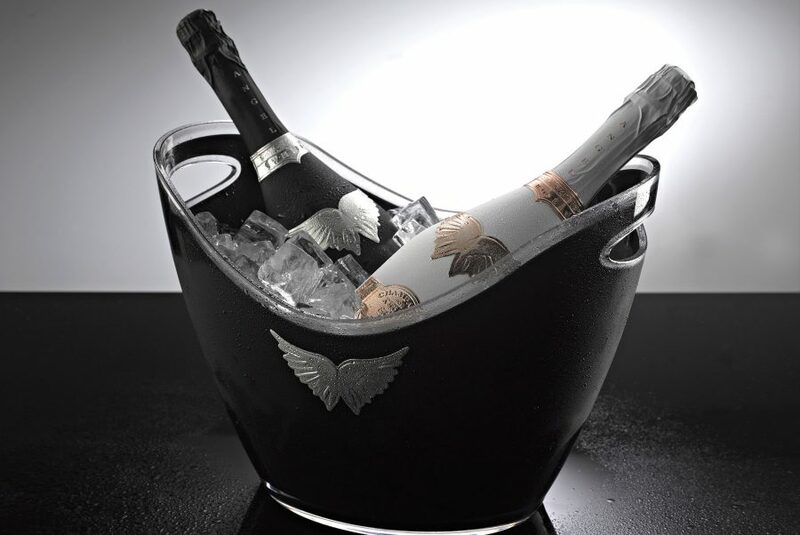 Each set includes our unique motif, embossed in highly polished pewter for both our Non-Vintage Brut and Rosé cuvées and in Black Pewter for our Vintages.